Nginx is an open source web server and a reverse proxy server for HTTP, SMTP, POP3, and IMAP protocols, with a strong focus on high concurrency, performance and low memory usage. It is licensed under a BSD-like license and it runs on Unix, Linux, BSD variants, Mac OS X, Solaris, AIX, HP-UX, and Microsoft Windows. Download nginx-1.5.1.zip file from nginx.org/en/download.html. Three software installation package downloaded. 1.2 Install MySQL Community Server. 2.2 Test whether to start nginx. Open your browser and visit to http://localhost or http://127.0.0.1, see if prompt "Welcome to nginx! ", If the display has already proved successful launch. 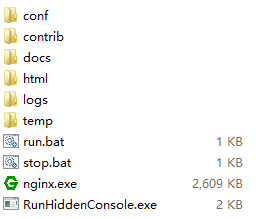 2.3 Find the Nginx configuration file nginx.conf location (installation directory conf folder), use a text editor opens. 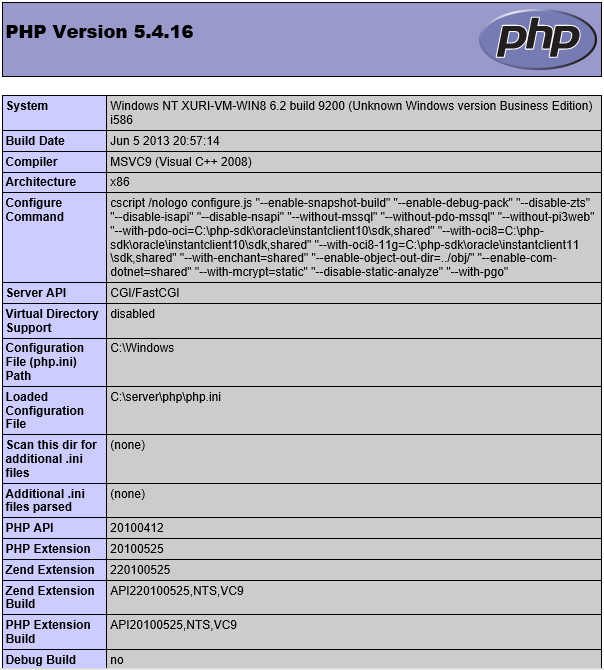 3.1 Copy php.ini-development file, and the file name to php.ini, modify the php configuration file php.ini. No. 880,881 lines, remove the front ; extension = php_mysql.dll and extension = php_mysqli.dll (supports MySQL database). 4.2 In C:\server\www directory to create a file index.php, written the following code in the index.php file, save. 4.3 In the browser to access http://localhost/. If you get the following information, proved WNMP ( Nginx, MySQL, PHP ) has been built successfully.